The income and poverty data released yesterday by the Census Bureau paint a sobering portrait of the economic hardship facing millions of Californians, many of them children. 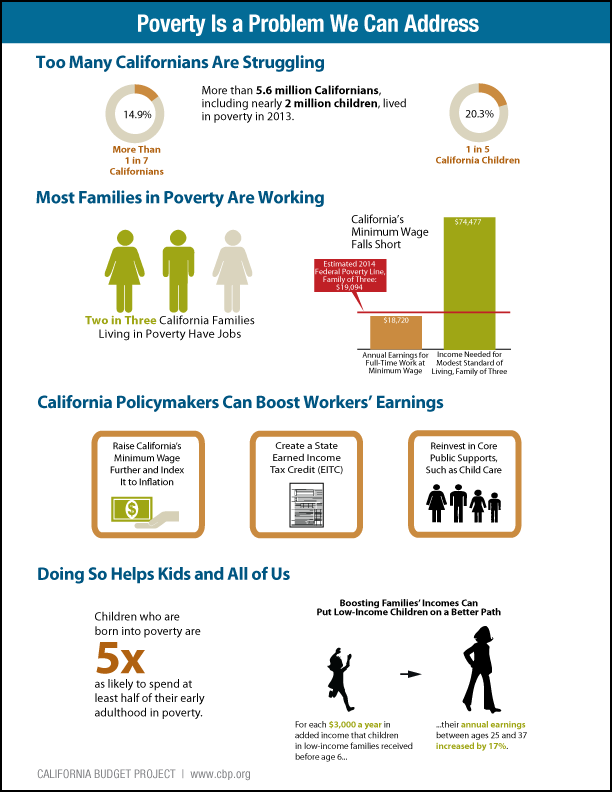 Last year, 2.2 million California children lived in poverty. This is nearly one out of four (23.4 percent) of the state’s children, up from 18.1 percent in 2006, the year before the recession began. In fact, the number of children living in poverty in 2010 exceeded the combined populations of the cities of San Diego and San Francisco. 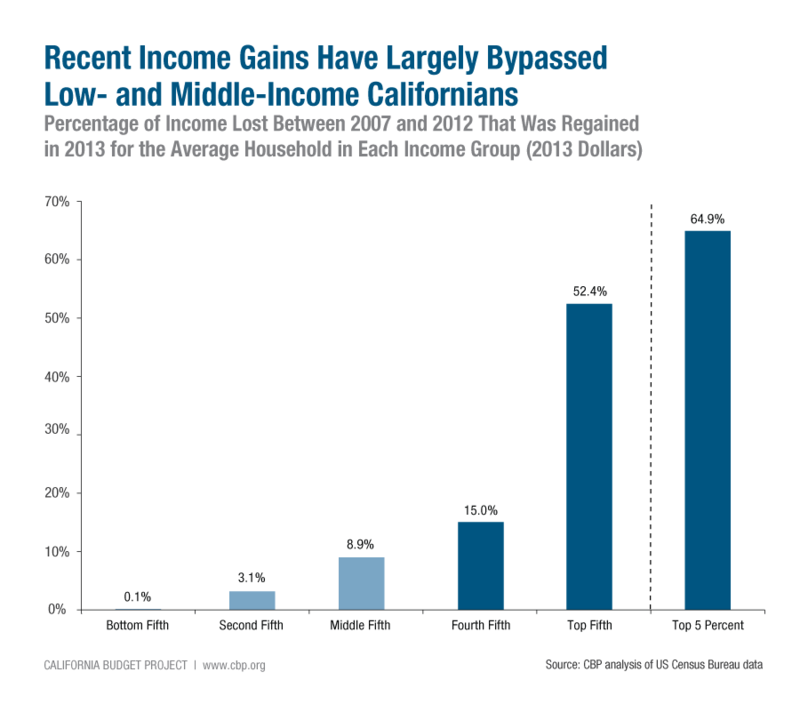 We all should be deeply concerned about rising poverty among California’s children. Poverty imposes enormous costs on society through the lost potential of children who grow up in families with very low incomes. Children raised in poverty tend to have lower levels of educational attainment and lower earnings as adults, and they are more likely to remain in poverty later in life. That means rising poverty could diminish the productivity of our future workforce and limit our ability to compete in an increasingly globalized economy. Will live in households with lower incomes, they will earn less themselves, and they have a greater chance at living in or near poverty as adults. They will achieve lower levels of education, and they will be less likely to be gainfully employed. Children who experience recession-induced poverty will even have poorer health than their peers who [stay] out of poverty during the childhood recession. Given that the Great Recession was far more severe than any downturn in recent history, its impact on children – and society as a whole – is likely to be more substantial than that of prior recessions, with longer-lasting consequences. Rising childhood poverty highlights the need for policymakers to provide a solid safety net for families most affected by the downturn. Even a modest boost to very low-income families’ incomes – such as the boost provided by the federal Earned Income Tax Credit – can increase children’s opportunities later in life. Research shows that a $3,000 annual increase in income for families with incomes below $25,000 can boost the future earnings of children raised in those families by nearly 20 percent.